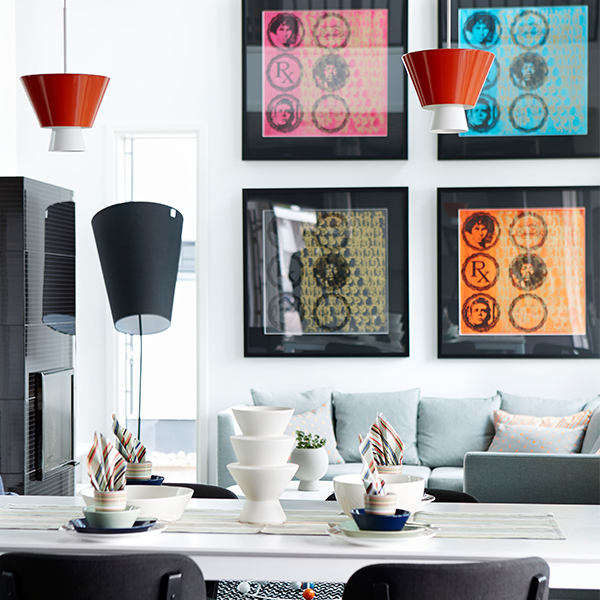 Lundia’s Loiste pendant is composed of a lightweight steel frame and two fabric-covered shades that cast light both downwards and upwards. 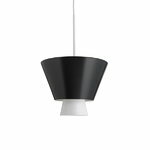 Loiste has a similar design than the fabric-covered Hehku pendant, but it is more compact, and its materials are painted aluminium and steel. 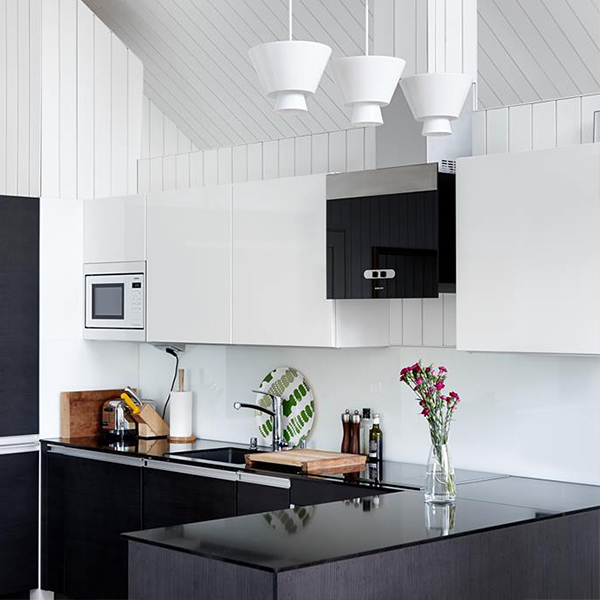 The smaller shade comes in white and the larger one is available in three colours: black, white and sand. Designed by Jukka Korpihete, the Loiste pendant light is handmade in Finland.